Mimi is an ICF Certified Coach (PCC) specializing in Interpersonal Relationships at Home and in the Workplace. Her particular brand of coaching focuses on developing the personal strengths and skills needed to establish a well-functioning family, marriage, or business. Mimi’s experience offers valuable insights into the dynamics it takes to make interpersonal relationships work. Specifically, clients gain fulfillment and success by learning the skills to identify and attain goals, build synergy, and communicate effectively. As an expert in the management of relationships, Mimi has the unique ability to work with families, couples and individuals as well as CEO’s, Executives, and Professionals at all levels. Mimi brings over 19 years of business experience to her work with coaching clients. As Founder and Owner of XY Outlook, Inc., she offers a blend of experience as a Coach, Business Owner, Educator and Speaker. 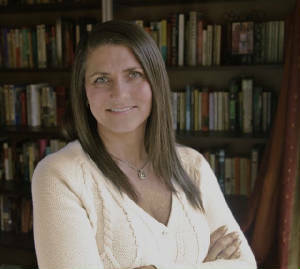 After graduating from Dickinson College, Mimi began her career in advertising and marketing, rapidly advancing to Vice President of Media Services for a prominent advertising agency. She was known for negotiating multi-million dollar deals with the national media to create the most lucrative media exposure packages. Mimi received a Master’s of Science in Business degree from Johns Hopkins University, where she later served as an Adjunct Professor for the School of Continuing Studies. Mimi is a PCC through the International Coach Federation (ICF) and received her Coaching training at the Institute for Professional Empowerment Coaching (iPEC). She has furthered her Coaching credentials with a Master-level Certification in the Organization and Relationship System Coaching program through The Coaches Training Institute (CTI) and received training for Conflict Caoching. She was also a member of the AC IP Development Team for the International Association of Coaches (IAC). Mimi currently sits on the Board of Directors for the ICF DC Metro chapter, the largest in North America. In addition, Mimi is a Certified Trainer/Facilitator for the Shapiro Negotiations Institute delivering negotiations training based on the book "The Power of Nice" to Fortune 500 companies. and is a frequent featured speaker.